I have a love/hate relationship with white eyeliner. The reason why is because, based on my own observation, most women tend to over do it. They end up looking like a snake that’s ready to pounce on prey as soon as it crosses in front of them. Seriously though, it can look intimidating and fake. So my dear friends, as the saying goes, less is more. Using beige eyeliner on your water line can subtly open up your eyes in a natural manner. You are going to be on stage. The white eyeliner helps your eyes appear bigger and more expressive from a distance. You are going to be photographed for a fashion spread. I have been told that, white eyeliner helps making editing easier if retouching is needed. You are creating a character. May it be for Halloween, Drag, or makeup experiments. Click here for an example. You can also do this to enhance the shape of your eyebrow by using this as a highlighter right on the edge of your brow. Again, less is some and blending is the key. Other than that, for everyday use, there’s the beige eyeliner. 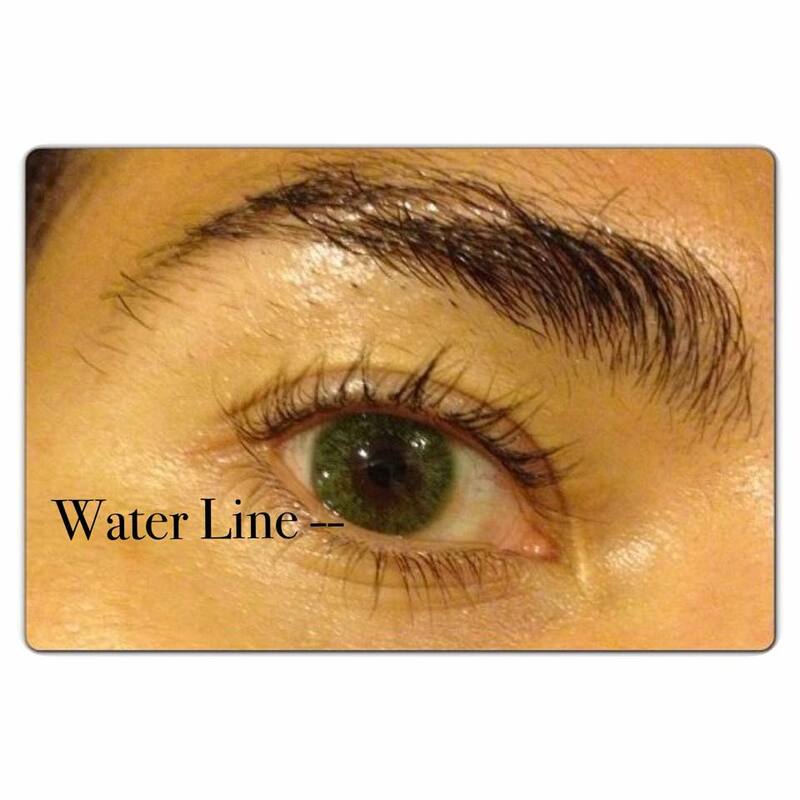 This color appears more natural once applied to the water line of your eye. It makes the eyes appear bigger and wider in a subtle manner. 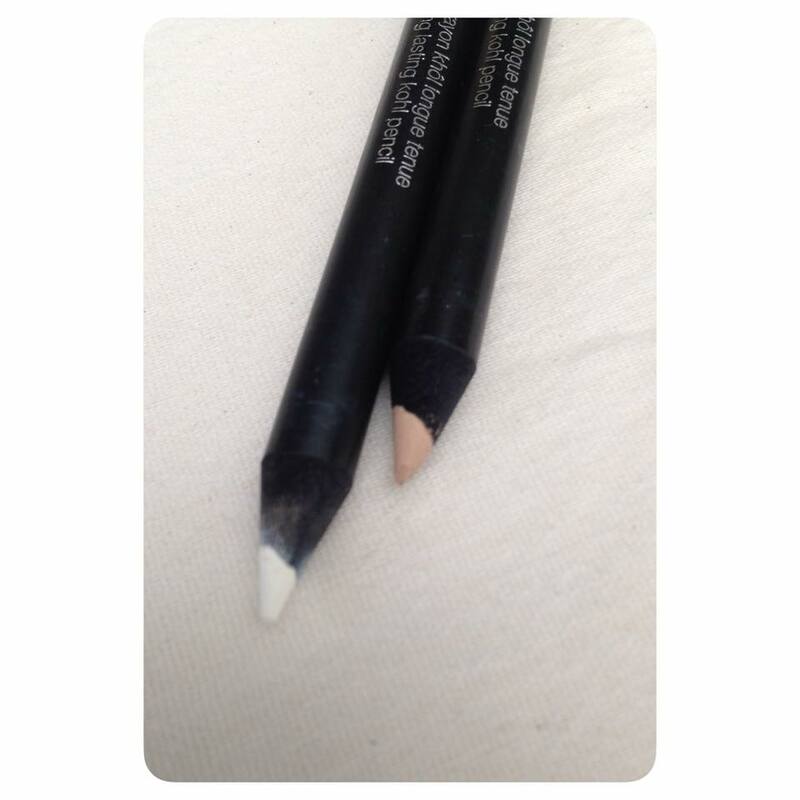 A staple in my kit is Sephora’s Long Lasting Kohl Pencil in white and beige. I end up using beige most of the time. It’s just a personal preference. This eyeliner pencil retails for 10 USD. At this price, it is a really good buy. This pencil is also longer than most standard eyeliner pencils that I own. It measures at around 6 inches while other brands measures between 4 to 5 inches. So this will last quite a while. It says that this kohl pencil is long lasting. But that really depends on the wearer. If you are extremely oily, then it will breakdown faster than other women of different skin type. If you are constantly touching / scratching your eyes, any eye product will not last past a minute after doing so. Remember that these two products are applied at the water line most of the time, so you would need to retouch this throughout the day. 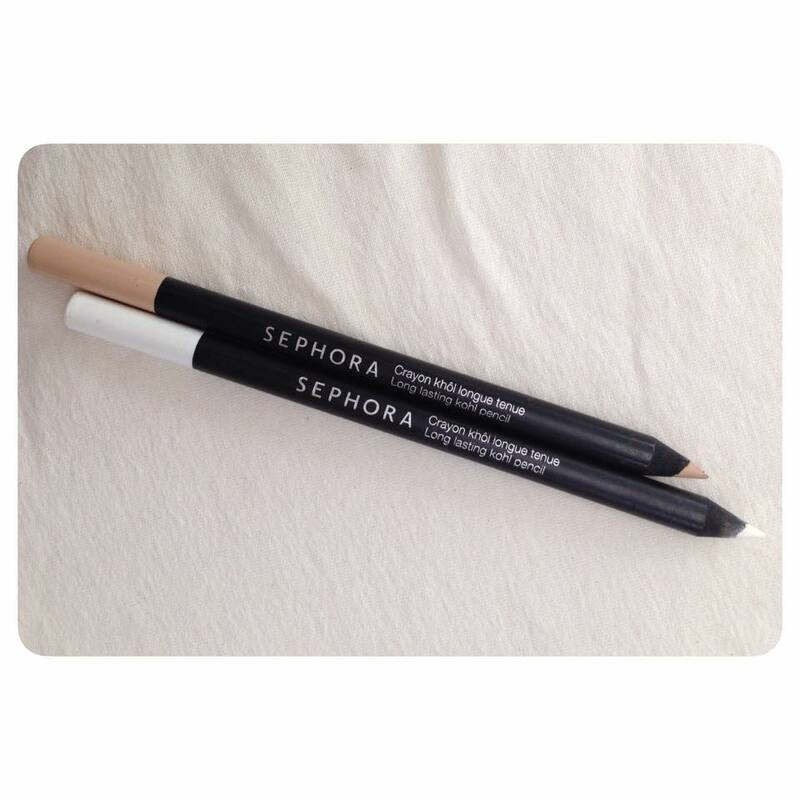 Sephora’s Long Lasting Kohl Pencil is soft and very easy to handle and manipulate. It is creamy in texture to it and it adheres to the skin easily with a subtle amount of pressure. This product is buildable to the intensity that you desire. As posted Sephora’s US website, it comes in 6 colors (see below). I think 08 Pure White is an addition for specific markets only. As of this writting, there isn’t a Sephora Store in the Philippines. I purchased these pencils for 11 SGD each while I was curiously navigating through Sephora in ION Orchard during a trip to Singapore in January 2014. To my knowledge in South East Asia, aside from Singapore, there are Sephora Stores in Bangkok (Siam Center) and in Malaysia. Drop by these locations when you are traveling, Sephora is one big play ground for makeup lovers. Click here to know more about Sephora’s various international locations.